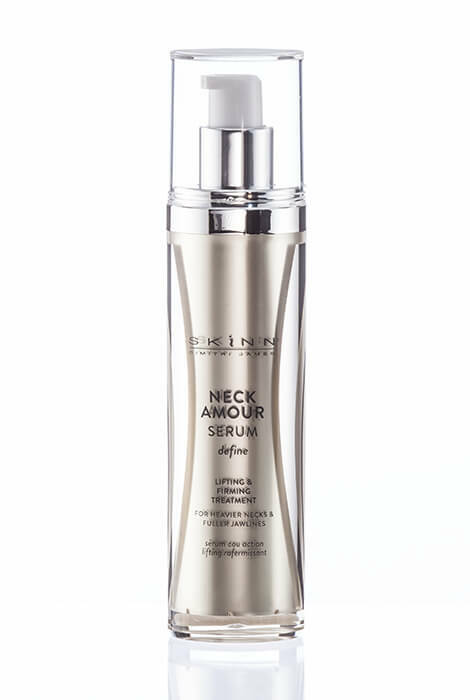 Before you resign to a wardrobe of infinity scarves, give your neck an age-defying lift with the Skinn Neck Amour Serum Define Lifting & Firming Treatment, designed to firm and contour a full, heavier neck, double chin and jaw line. The effective, yet gentle formula’s exclusive Pro-Lift Intense complex works to lift and contour while Ovaliss™, a coconut extract, helps visibly firm, tighten and tone skin. 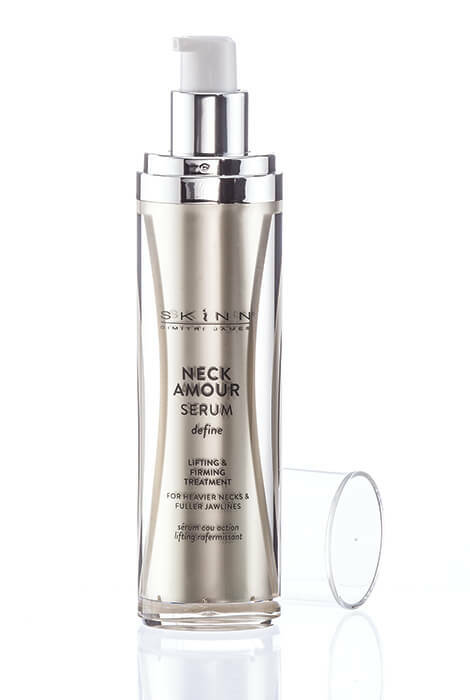 In addition, Renovage™ helps diminish dark spots and lines so the skin on your neck looks clearer, brighter, smoother. Pump dispenser makes application easy. Apply to back and front of neck, décolleté and jaw line with upward patting strokes and follow with moisturizing treatments. 1.7 oz. It was less than any other item I had been ordering. I have tried other Skinn products so I thought this may be a good cream. cause I have a saggy neck! I used item in the past and it helped contour my turkey neck. Very pleased with this product. i really like the Skin 6x line.this is the first time that I will be using this product. I tried a bottle and love it. As I age, I have noticed that problem area...the chin and neck sagging, just slightly! I am hoping to nip this in the bud and improve the look of my neck. Hoping this one will WORK!! I want to try this; I need to do something otherwise it may be "under the knife I go!"